My posts have recently been hindered in their travel. They are finding it difficult to make the journey from my head to my hands, then onto the keyboard and, finally, onto the website. The hindrance seems to be related to the many changes in my family's life. For this reason Bible in the Basement is going to take a break. Posts related to faith and culture will resume once they are able to once again make the journey described above. If you would like to be informed when they break camp, you may email me and I'll keep you...no pun intended...posted. I saved an op-ed piece from Thursday's New York Times entitled Save the Darfur Puppy. In one experiment, psychologists asked ordinary citizens to contribute $5 to alleviate hunger abroad. In one version, the money would go to a particular girl, Rokia, a 7-year-old in Mali; in another, to 21 million hungry Africans; in a third, to Rokia - but she was presented as a victim of a larger tapestry of global hunger. Not surprisingly, people were less likely to give to anonymous millions than to Rokia. But they were also less willing to give in [a] third scenario, in which Rokia's suffering was presented as part of a broader pattern. People can relate to one starving child, but it's hard to comprehend thousands. It so happened that a day earlier I had skimmed a book called From Baghdad, With Love, which chronicles one soldier's efforts to save an abandoned puppy he found in Iraq. Great pains were taken by this soldier and others to save this puppy, which included smuggling the needy canine across borders and abandoning protocol. At the end of the book, the author seems to admit that this tremendous degree of effort to save a puppy seemed lopsided, considering the degree of human suffering in the country. But, he concluded, at least I saved something. There are many lessons here. Fund-raisers need to understand the psychology of giving. But all of us need to understand our own psychology, and ethics, as relates to what we are willing - and able - to care about. We have a finite capacity to comprehend, and to care about, the world's needs - as much as we would like to think otherwise. The Sports section is more popular than the International pages. I think about Jesus, however, who the Bible says "came to seek and save the lost" and "gave his life as a ransom for many." I think about the famous passage that explains, "For God so loved the world..." Here is one who comprehends the world's plight; here is one who cares, who acts, who demonstrates love in spite of the scale. I also think about how, as a young person, I could care less about anyone, human or canine, other than myself. And I think about how, after meeting the Savior described above, my capacity to care grew much larger. My capacity to give grew much larger. Yet it's still nothing to boast about, so I instead must boast in him. Martin Luther is known for histheology of the cross which is in contrast to what he termed a theology of glory. The former is the understanding that we must approach God through Jesus Christ, relying on his death for our life. Human endeavor must be forsaken; we boast only in the cross, as the apostle Paul directed. Far from being "Luther's" theology, this is basically the teaching of the New Testament. The theology of glory, in contrast, is... well, just what is it? Since I wasn't sure exactly what is meant by this term, I thought I'd find out by visiting Wikipedia. 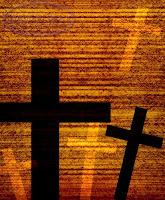 There was a nice write-up on the theology of the cross here. So I looked up their article on the theology of glory and to my surprise was sent here - basically redirected right back to the cross! [Jesus] then began to teach them that the Son of Man must suffer many things and be rejected by the elders, chief priests and teachers of the law, and that he must be killed and after three days rise again. He spoke plainly about this, and Peter took him aside and began to rebuke him. But when Jesus turned and looked at his disciples, he rebuked Peter. "Get behind me, Satan!" he said. "You do not have in mind the things of God, but the things of men." Then he called the crowd to him along with his disciples and said: "If anyone would come after me, he must deny himself and take up his cross and follow me. For whoever wants to save his life will lose it, but whoever loses his life for me and for the gospel will save it. What good is it for a man to gain the whole world, yet forfeit his soul? Or what can a man give in exchange for his soul? If anyone is ashamed of me and my words in this adulterous and sinful generation, the Son of Man will be ashamed of him when he comes in his Father's glory with the holy angels." This morning I woke up early to the sound of birds who are a little too excited about springtime. This gave me a little extra time to catch up on some online reading. One of my favorite sites is the "online magazine" Slate. Its founders were ahead of the curve in terms of online news and opinion and they have a sophisticated site. Its politics are "left leaning," but I don't know a better place online to find thoughtful, or at least interesting, cultural commentary. Today I read a fun story about the NBA playoffs - basketball's my favorite sport, so you can't beat that. I was helpfully linked to a YouTube replay of Michael Jordan's top 10 buzzer-beaters. Thanks, Slate! Pro-lifers are often caricatured as stupid creationists who just want to put women back in their place. Science and free inquiry are supposed to help them get over their "love affair with the fetus." But science hasn't cooperated. 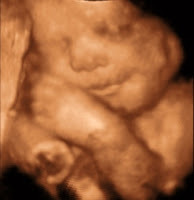 Ultrasound has exposed the life in the womb to those of us who didn't want to see what abortion kills. The fetus is squirming, and so are we. Saletan's point is that the ultrasound is the greatest enemy to abortion. I encourage you to read his piece here. Laws affect morality. Legalizing abortion did not only make it a "right," it granted public sanction. Now that partial-birth abortion has been declared unconstitutional (in one of the best Supreme Court decisions in recent memory), the unacceptability of abortion is gaining a long overdue - if still faint - hearing. The idea that public laws and public morality are totally separate issues is simply unrealistic. In a nation such as ours, the trickle-down effect of public policy is actually a torrent of peer pressure and political correctness. Therefore, we desperately need lawmakers who are wise, competent, and noble. We also need that which is required in every age: backbone to stand against the torrent of public opinion when it is unjust or unrighteous. There aren't many people eager to defend partial-birth abortion now that it's becoming clear how gruesome it actually is. But there are nevertheless babies losing their lives every day to all other forms of abortion. We need more than an ultrasound, but an ultrasound won't hurt. It certainly won't hurt the baby inside the womb if it serves to teach the mother just what it is that God has given her. Richard Dawkins is an atheist who has written a best seller entitled The God Delusion. I was able to spend some time with him since he was in New York City on Tuesday. Specifically, I spent time listening to him take calls on WNYC’s Brian Lehrer Show and then spent time watching him interview with Bill O’Reilly in the evening on the fair and balanced Fox News Channel. Dawkins likes to compare belief in God – any god – to the belief in fairies. He admits, if you listen closely, that he cannot actually be certain God does not exist; but he always adds that he is just as certain God does not exist as that fairies don’t exist. Fairies and God – same basic evidence available for each. This is highly misleading and disingenuous. There is a vast difference between the evidence for believing in God and the evidence for fairies, unicorns, or Santa Claus. Serious scholars have embraced Christianity for a range of reasons and various types of evidence. 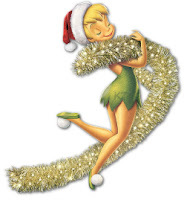 There is a reason that thick books are written concerning the evidence for the existence of God and no one writes these books about Tinkerbell. There is a reason why scientists raise challenging (and therefore silenced) objections to traditional evolutionary theory and yet propose intelligent design rather than fairy magic. O’Reilly: It helps me as a person. Dawkins: That’s different, if it helps you, great, but that doesn’t mean it’s true. O': Well, it’s true for me. D: You mean true for you is different than true for anyone else? D: Something has to be either true or not. While I don’t expect atheists to convert to Christianity based on a radio call-in show, I would like to see Christianity represented well. There was a time, I think, when even those who agreed with Dawkins’ basic principles wouldn’t have accepted his caricature of the Christian faith. And there was a time when no one would have relied on the argument it’s true for me. I know argument alone will not change someone’s core beliefs, something deeper is needed spark a transformation. Yet as a starting point, we need intelligently designed arguments. On both sides. 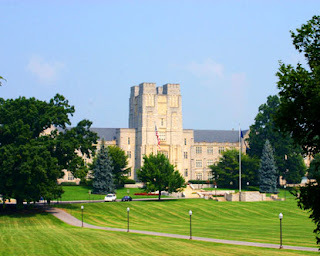 Virginia Tech: What Has God Done? 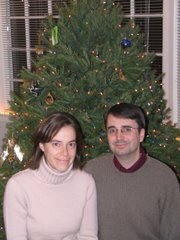 Cheryl and I were traveling to Virginia this past Monday when news of the tragedy at Virginia Tech unfolded. We were not in the immediate area of Virginia Tech, but we did meet people who were personally touched by this tragedy. The family we stayed with knew a student whose life was taken that day; when paying for pancakes at IHOP, the cashier told us that her cousin was killed. During times of tragedy like this, we begin to reflect on our deepest beliefs. We might even question our faith. This is especially true when the tragedy is so personal, and not just a violent image on the TV screen. And it doesn’t matter much how long we have been a Christian; an emotional impact is a jarring experience no matter how much knowledge we’ve gained over time. I do not think it is wrong for such events to shake our faith. In fact, it is probably the appropriate response. By God’s grace, he often shields us from the horrible consequences and effects of sin. He shows us his goodness, generosity, and mercy daily in hundreds of ways. Even though we believe in the terrible effects and consequences of sin, these beliefs often remain somewhat intellectual – in the background. While the news offers daily reminders of violence, it is generally not so close to us; it remains, for most Americans, far away. That is, until tragedy strikes, or until a personal experience brings the reality of sin into full display. If our life has been blessed with a degree of comfort, which would rightly be described as a display of God’s tremendous mercy, our faith is shaken by tragedies such as this precisely because God has been so good to us in the past. Yet even though events like this may shake us up, they may also shake us free. They shake us free from false beliefs and false hope. On a national level, we are shaken free from the false hope that we can, by our own power, contain the effects of sin. Clearly we cannot. There is always a sad scramble to pin the blame on someone “higher up” who could have done something, anything, to prevent something like this… yet even if we could uncover such a person, the next tragedy will again reveal our inability to create a sin-free, violence-free world. In fact, that is exactly what has happened. Columbine, 9-11, Katrina, Iraq, Virginia Tech, and anything else that can be named… we cannot “fix” things up so well that we no longer need God. Yet God is the “highest up” we can go, and it is for this reason that we question our faith: why didn’t he do something? That “why” question is not a bad one. If asked in humility, it might lead us to reflect afresh on exactly what God has done. He has sent his Son into this violent world. He has offered redemption from sin and eternal life. He has given his Holy Spirit to those who believe, in order that this new life may take root now. He has given His church as a community in which we can begin to experience the comfort and joy of a worshiping and healing community. And in each of our individual lives, he has done much more. But there are indeed things God hasn’t done. He has not shielded our world from tragedy. He has not yet wiped the planet free of sin. To do this would wipe us out! Events like this actually confirm what the Bible affirms: we live in a sin-scarred world, yet one in which redemption may be found. Nevertheless, it’s painfully difficult at times to accept at times what God hasn’t done. This is why my prayers go out to those who are hurting right now, whether through this national tragedy or through a more personal one. We can affirm and even enjoy together what God has done, even as we wait for what he will do. It is my prayer that those whose faith is shaken through this latest tragedy will also find their faith deepened. And if we entrust ourselves to God, that will indeed happen – because God is with us even in the valley of the shadow of death. I’ve been preparing a sermon concerning communion with God, and specifically, the communion we have with God through the Scriptures. I’ve noticed along the way that for a long while Christian thought has been chiefly concerned with the topic of communication from God, that is, the idea that the Bible truly is the word of God. Many books defend this notion from numerous angles. However, this important discussion nevertheless falls short. God does not merely want us to affirm that he has communicated to us; he wants to have communion with us. We live in an age of communication. Telemarketers call our telephones, spammers fill our email boxes, endless commercials and radio and TV numb our senses. We shut out many of these attempts at communication… over the past three days I’ve probably deleted 300 emails (not fan mail, just plain old spam!). I responded to the spammer who claims he is trying to reach me with a million dollar inheritance with a few words about lying and about forgiveness, just to make this daily ritual a little more interesting. Lots of communication, but not much communion. However, if a friend calls or writes, and if we give some time and thought to our conversation with them, we begin to achieve something deeper than mere communication. We might begin to experience communion: a deep sharing of ourselves, our thoughts, our experiences. This is what God is after as well. If our Bibles gather dust in the basement, then we are viewing God’s word as just so much unused, unwanted or unnecessary communication. But if we slow down, read, listen we are experiencing more of what God has in mind: communion. John Dickerson: In my view of Christianity anyway, the most amazing people are the ones who do all these wonderful, humble acts of service and don’t tell anyone about it, and don’t go forcing it down other people’s throats. Emily: I don’t think they run for president, John. John: No, I guess not, and they don’t get to go on Dobson’s radio show either. But I like the idea of the humble, selfless servant, not the loud, going around picking winners and losers Christian, but you know, that’s just me. This is just one example, of many, that remind me how important it is for Christians to demonstrate their faith through acts of genuine service to others. People who are often disinterested in hearing the gospel still like to see the gospel. People who don’t like Jesus’ words as recited by his followers may appreciate his actions as lived by his followers. Jesus said, “Let your light shine before others, so that they may see your good works and give glory to your Father who is in heaven.” Both the words and deeds of the Christian faith are vital communication tools. The church must use both. 1. This is the reason Jesus is still such a popular cultural icon. People believe his actions represent something selfless and honorable, even if they don’t know, understand, or embrace what he actually said... and for that matter, the real meaning behind his "good deeds." 2. This is also why ministry through the church, and not merely parachurch ministry, is so important. Non-church ministries are sometimes teaching ministries, and sometimes serving ministries, but rarely both. They gain momentum by doing one thing well, yet a full orbed Christian witness requires more. Note: There are parachurch ministries doing great work, and at their best they connect Christians from different backgrounds and display the Christian faith in that way too. It is only if they become a substitute for the local church that they can begin to work at cross purposes - seeking to display Christ and yet painting only a partial picture. To hear the Gabfest discussions mentioned above, go to the website at www.slate.com/gabfest and listen to the March 30 roundtable discussion. The discussions I mentioned are in the last 10 minutes. Rumor has it that Summer is only visiting, perhaps making plans for later this year. Ahhh, you gotta love it. This has been a very moderate winter in New Jersey. I think there were only a couple snowstorms, and the snow didn't prove particularly durable. So when the temperatures hit the 70's last Wednesday or so, we were pretty certain that Spring, if not summer, had arrived. On Friday, ice rained from the sky. All day long. Apparently, some birds were as surprised as we were. Their dining options suddenly became more limited and they had to scrounge in the few areas untouched by the ice. Other animals were caught off guard as well. This one had plans for another rousing game of "chuck it" but instead realized the best she could hope for was a little slip & slide. I found myself thinking about how unpredictable the weather can be, (weathermen notwithstanding), and how unpredictable God's plans for us can be as well (theologians notwithstanding). Since God created the weather, I suppose this makes sense!